Do you experience dropped calls or choppy, incoherent conversations on your Inland Cellular phone within your home/office or in car/truck? Inland Cellular coverage's very good - However, housing materials such as concrete, metal, low emissivity or tinted glass windows, etc. block cellular signals and prevent good mobile reception indoors in homes/offices and outdoors in cars/trucks. Cellular Phone Amplifiers for Inland Cellular. Cellular phone amplifiers listed below boost reception for all Inland Cellular phones. Strengthened Inland cellular signals reduce dropped calls, speed Internet. 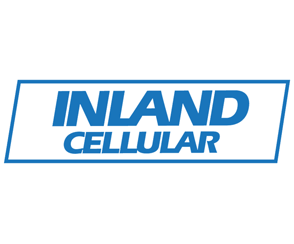 Clear voice in home & car after Inland Cellular service phone amplifier installation. Installing cellular phone amplifier is easy with instructions for any 3G, 4G, LTE network. Experienced cellular phone amplifier installer available to install at an affordable cost. No monthly fees nor contracts. Only one-time cellular phone amplifier kit purchase. Free trial - 60 days total satisfaction money-back guarantee for all cellular phone amplifying kits listed below. Inland Cellular 3G & 4G Frequencies and Bands. 835 - 845 MHz, Block B Band 2 (CDMA2000). 880 - 890 MHz, Block B Band 2 (CDMA2000). 800 MHz ESMR, Band 26 (LTE700). 1900 MHz PCS, Band 25 (LTE700). 2.5 GHz BRS/ EBS, Band 41 (TD-LTE700/ LTE Advanced). After purchase, Inland Cellular phone service amplifier registration should be easy. Simply register Inland Cellular phone amplifier by submitting following information via contact form at http://inlandcellular.com/contact-us/: 1) Customer name and phone number. 2) Make, model, and serial number of the cell amplifier purchased. 3) Address where the cell phone booster will be installed (if vehicle, then an address where it will be normally parked overnight). 4) Date of initial use. You may read more details at FCC website. All of the following cellular phone amplifiers are FCC certified and tested to improve cellular reception in homes or buildings, cars, trucks, boats, recreational vehicles (RVs), etc. on Inland mobile network. Try one risk-free to see how much it helps you to minimize dropped calls, missed calls, stuck/late text messages, and slow mobile internet due to weak cellular reception. As long as there's some minimal cellular signal outside the home/building or vehicle, you will definitely experience remarkable cellular phone amplification inside. Need help with installation? Submit quote-request for cellular phone amplifier installation service to get started.